Produce- All fruits and veggies! 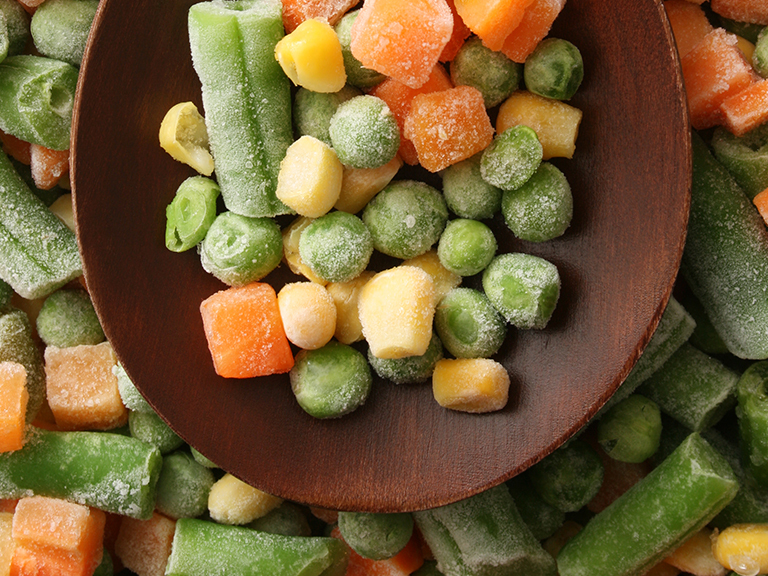 Fruits and veggies are a source of potassium which balances out sodium and promotes health. Whole grains- Whole wheat bread, brown rice & more! Fruits, veggies, and whole grains are a source of fiber which helps lower our blood lipids. No sugar added canned and frozen fruit. While we want to limit added sugars, the natural sugar in fruits is perfectly healthy. No sugar added fruits are just as nutritious as fresh! No salt added canned and frozen veggies and beans. We also want to limit excess sodium since too much sodium may impact blood pressure. No salt added veggies and beans are just as nutritious as fresh! Lean meat including skinless poultry, beef round sirloin, and pork tenderloin. Leaner meats containing less saturated fat are less likely to increase blood lipids and are an excellent source of protein. Fish including fresh, frozen and canned tuna and salmon. Salmon and tuna are a source of omega-3 fats which reduces inflamation and may prevent damage that may lead to heart disease. 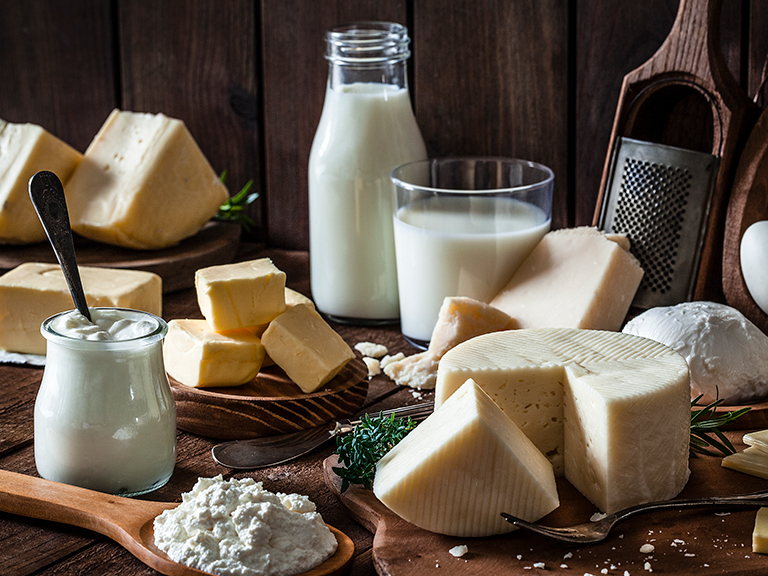 Lower fat dairy products such as 1% or skim milk, reduced fat cheese and low fat yogurt. Lower fat dairy products are a source of many nutrients including potassium, just less fat! No salt added seasonings including Our Family salt-free options and Mrs. Dash. Again limiting excess sodium helps to maintain blood pressure thus promoting heart health. To eat more nutritious foods, checkout our Living Well Shopping List. 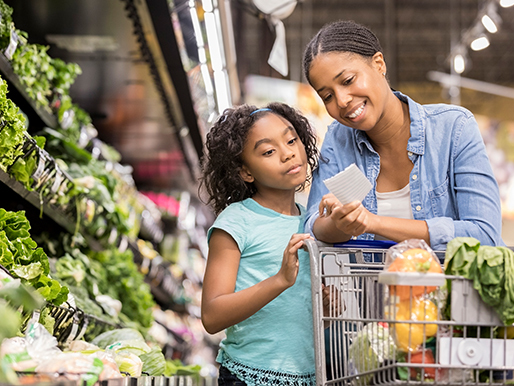 This shopping list will guide you through the aisles and help you select the healthier options. Blueberries are a source of fiber, which lowers cholesterol, and contain a special phytonutrient called anthocyanins. Anthocyanins give blueberries their "blue" color and have been found to lower blood pressure as well as make blood vessels more elastic! 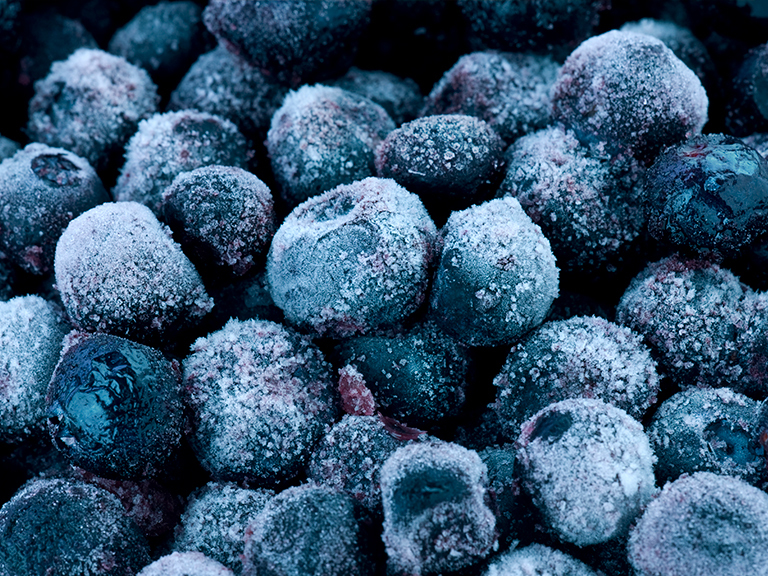 Be sure to put blueberries in your cart on your next supermarket shopping trip!